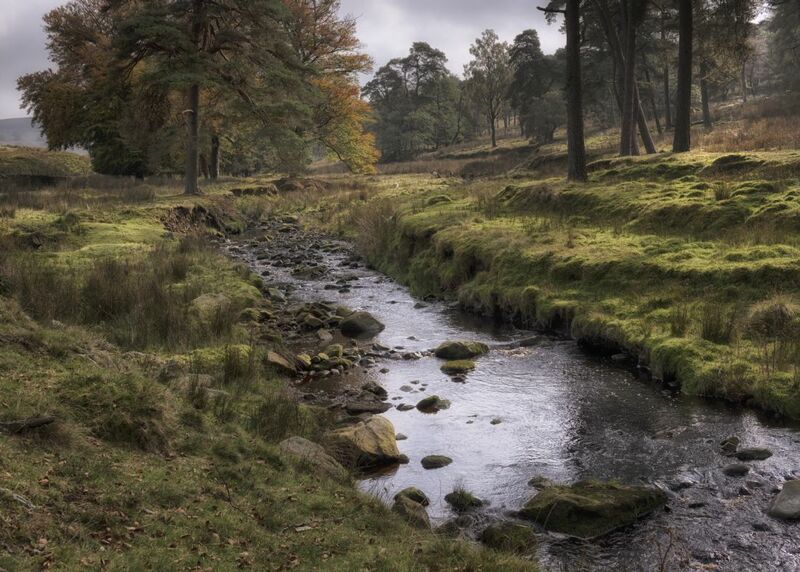 One of the many little brooks that tumble their way through The Forest of Bowland Lancashire, an Area of Outstanding Natural Beauty. The water running over the rocks illuminated by golden Autumnal sunshine creating a peaceful classic English countryside scene. Yew Tree Tarn, South Lakes, Cumbria, England. Shot here as a long exposure that highlights the reflections of the wooded area and gives the clouds a soft feel. 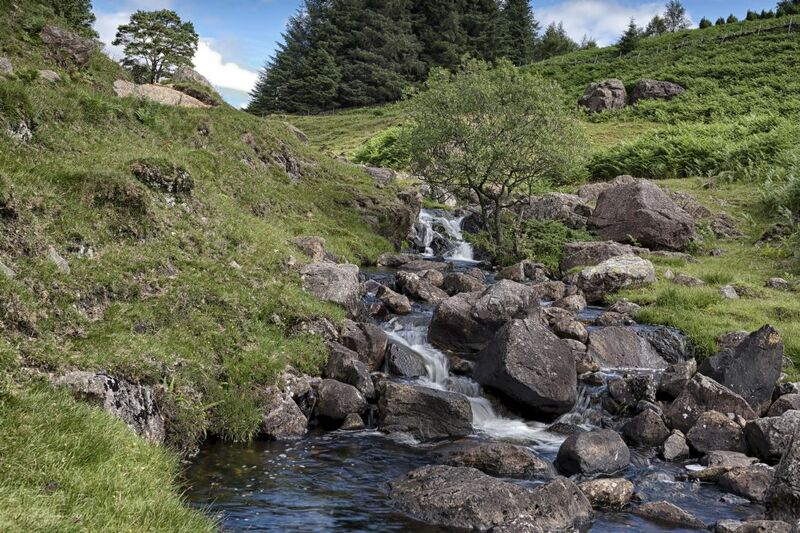 This tarn is one of the smallest in The Lakes and is man-made after the landowner dammed Yewdale Beck in the 1930s. Yew Tree Tarn is a lovely roadside tarn situated close to Coniston and Hawkshead in the South Lake District National Park. 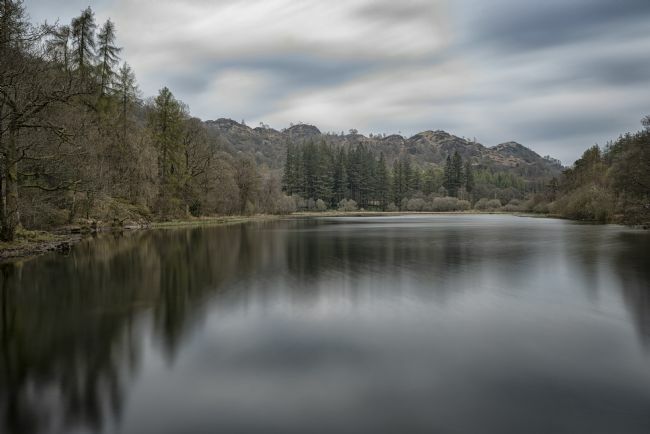 It is partly surrounded by woods and offers the opportunity for a gentle short stroll around and if you are lucky you can see trout jumping as they take flies off the surface of the lake! A Black and white version of Mary's Shell with a stunning sky reflected in a pool of water on the beach. 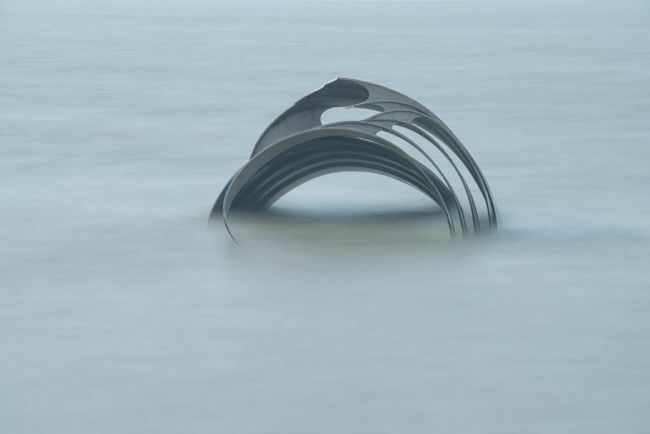 The Shell is a large piece of public art situated on Cleveleys Beach near Blackpool Lancashire and forms part of the theme of a book written for children called The Sea Swallow. Since it was installed it has been enjoyed by thousands of visitors and provides a focal point to the brand new promenade at Cleveleys. NB This image is not suitable for a wrapped canvas. 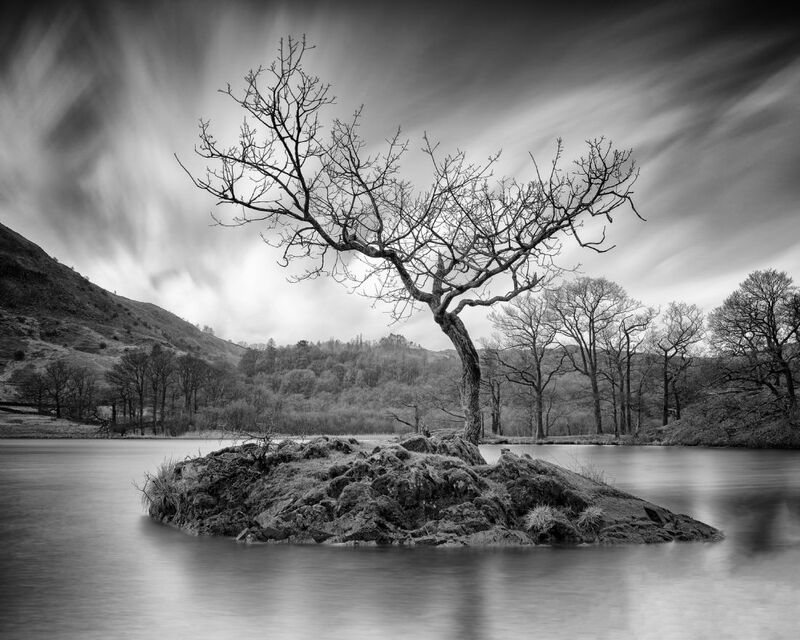 A view of the iconic lone tree at Rydal Water in the Lake District, Cumbria, England. Rydal Water has many little islands on it, what makes this stand out is the single, lone tree that has grown on it. I used a long exposure in this shot to smooth the water surface and soften the clouds to make the contrast between the twisted little tree and its background stand out more. A colour version of this image is available in my portfolio. A view looking across Swaledale in the North Yorkshire National Park. The meadows bathed in the warm Summer sun. The patchwork of meadows divided by iconic traditional dry stone walls. 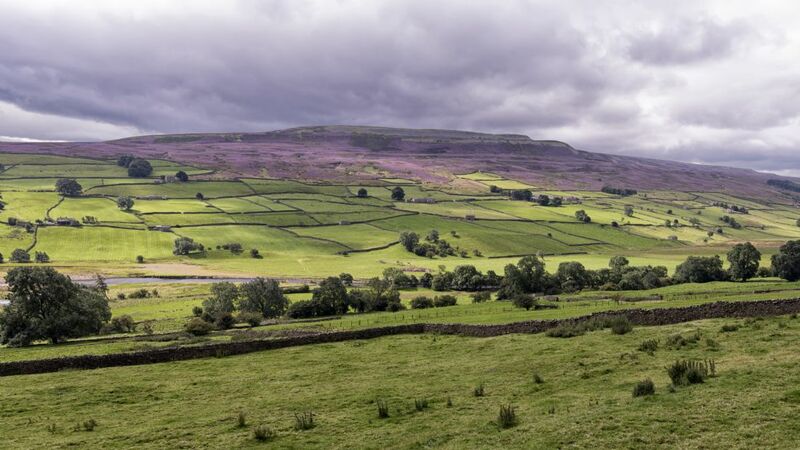 As your eyes wander through this classic north English countryside view across the River Swale and onto the heather topped fells. There can be nothing more beautiful than England in the Summer. 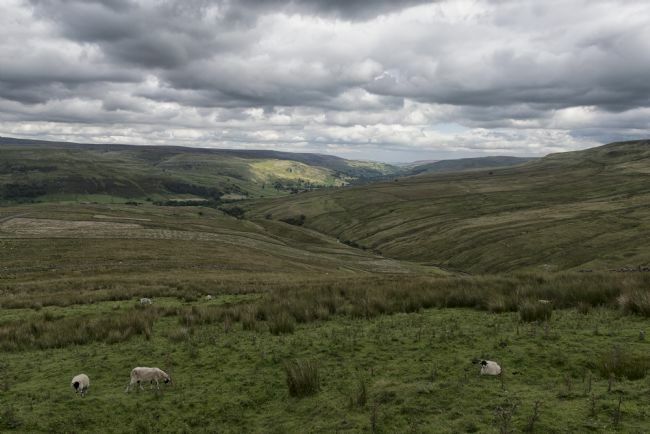 A view looking across Swaledale in the North Yorkshire National Park taken from the top of Buttertubs Pass. The meadows bathed in the warm Summer sun. The patchwork of meadows divided by iconic traditional dry stone walls. As your eyes wander through this classic north English countryside view Swaledale Sheep can be seen in the foreground grazing on the lush grass, Buttertubs Pass divides Swaledale and Wensleydale, two of the iconic dales within the National Park. A view looking across Muker Meadows, Swaledale in the North Yorkshire National Park. The meadows bathed in the warm Summer sun. 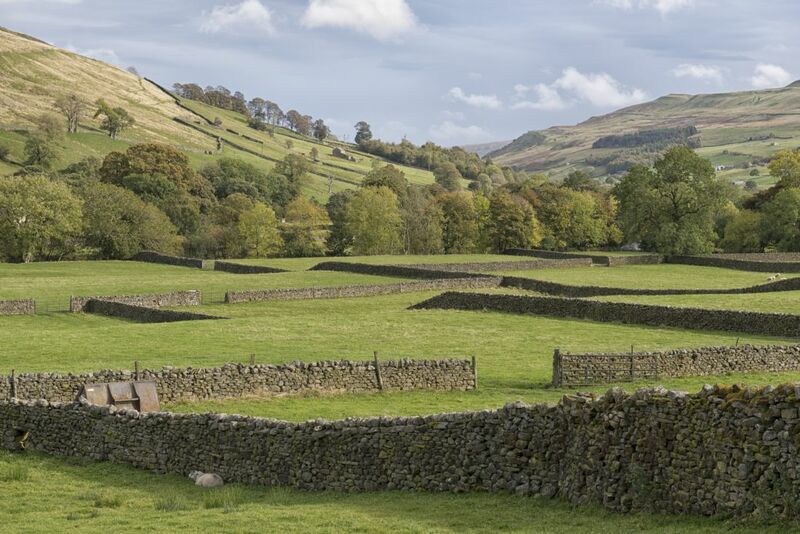 The patchwork of meadows divided by iconic traditional dry stone walls. As your eyes wander through this classic north English countryside view a stone barn can be seen high up in the distant meadow, these barns are traditional within Yorkshire and used to shelter the livestock during the harsh Winters. FD Clarain is an old fishing boat that fished out of Fleetwood Docks. 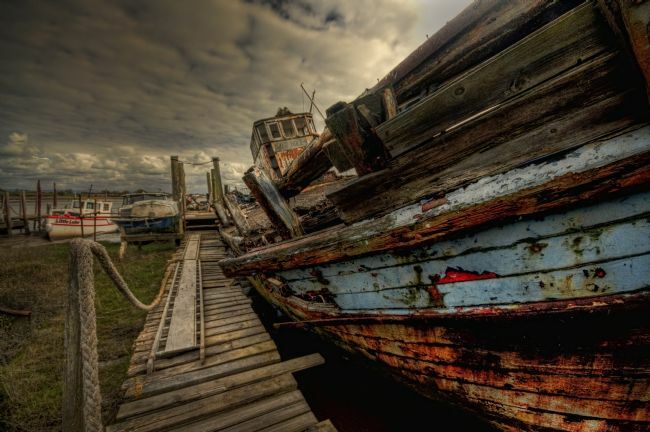 Due to fishing quotas being imposed on many of the owners of vessels this together with several other fishing boats were stripped of all their gear and the intentionally beached on a high flood tide on the River Wyre estuary. If you look closely to the left side of the image you can see parts of Fleetwood docks buildings, a sad end to boats that made the town of Fleetwood famous for fish. With the death of these boats it signalled the end for Fleetwood fish. 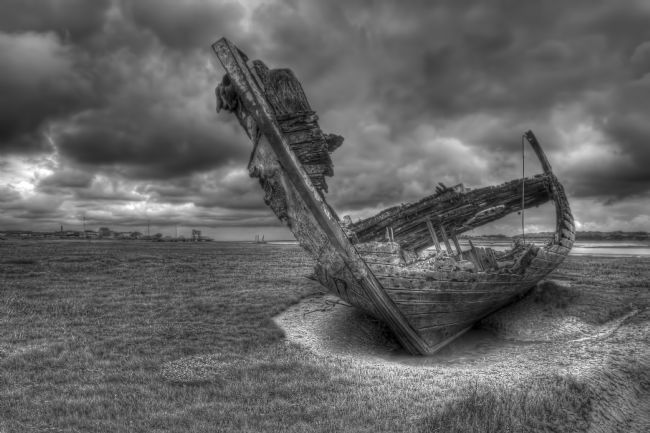 Good Hope is an old fishing boat that fished out of Fleetwood for many years. It was then sold and moved up the River Wyre to a small mooring on Skippool Creek to be renovated into a leisure boat. Despite several attempts to make it watertight these failed, it was like she has retired never to sail again. 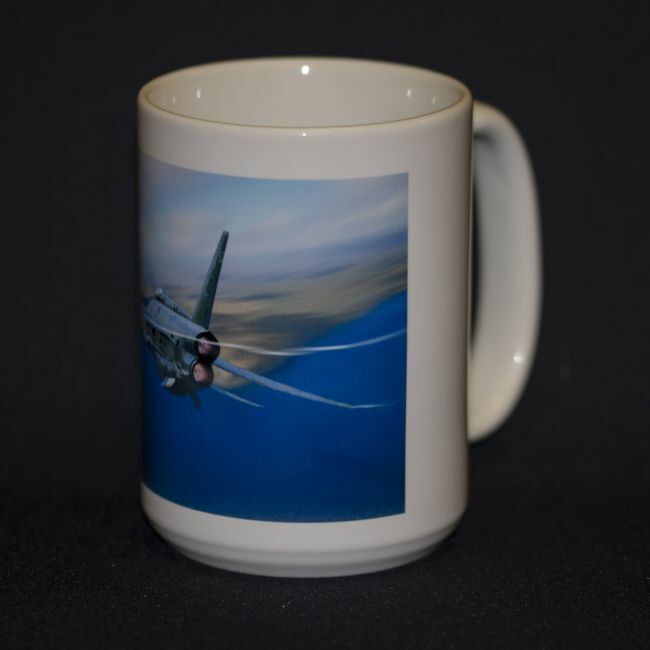 There is something that attracts sailors and photographers alike to the boat. 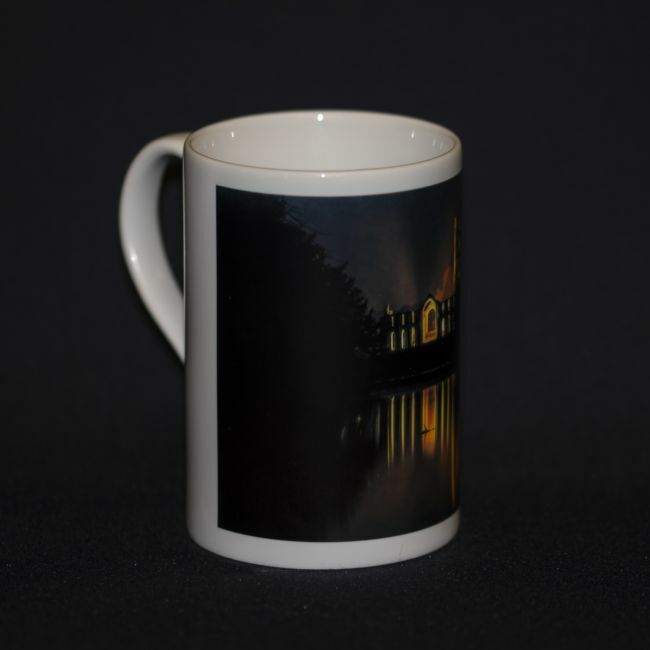 This image looks wonderful printed as a canvas, the texture in the canvas really enhances to gritty beauty of the scene. A view of the iconic lone tree at Rydal Water in the Lake District, Cumbria, England. Rydal Water has many little islands on it, what makes this stand out is the single, lone tree that has grown on it. I used a long exposure in this shot to smooth the water surface and soften the clouds to make the contrast between the twisted little tree and its background stand out more. A monochrome version of this image is available in my portfolio. Wonderful light illuminates this side profile shot of the iconic Mary's Shell situated on Cleveleys Beach near Blackpool England. 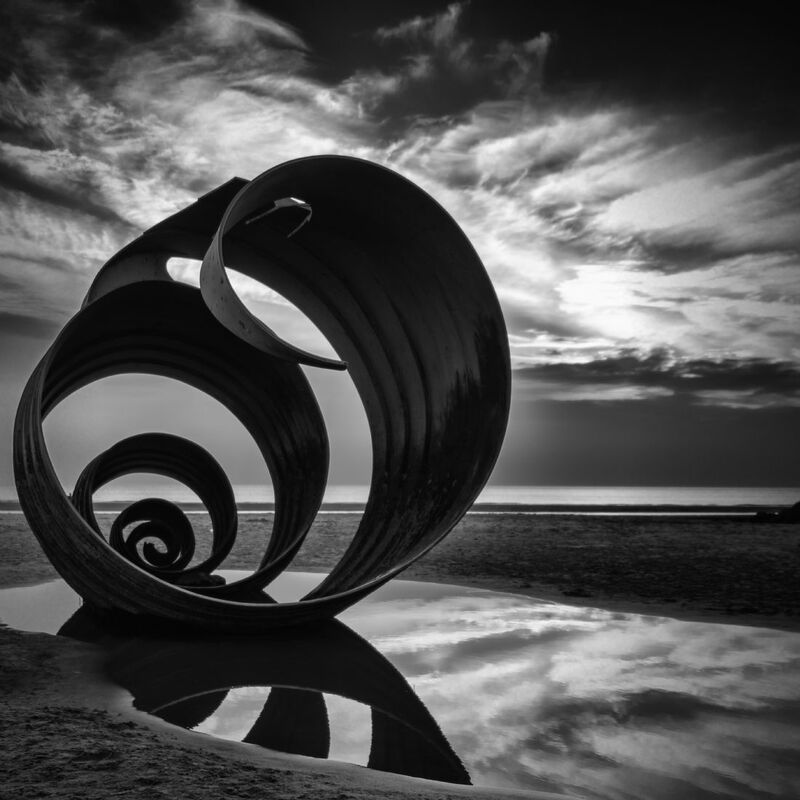 The shell is a large structure some 10 metres long and 4 metres high and is one of several large public art installations along the wonderful promenade at Cleveleys. The Shell is from a book written for children called The Sea Swallow which is set along a mythical coastline. 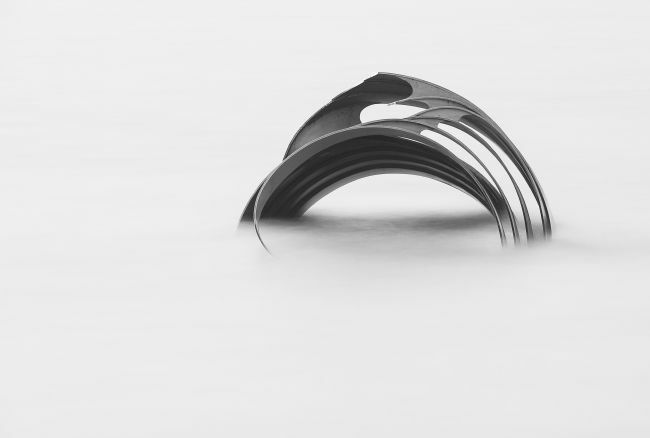 This is a long exposure shot taken whilst the shell was semi submerged by a high tide and processed to give it a fine art feel. A classic English landscape view shot between Pilling and Cockerham in Lancashire. The meadows dotted with cattle grazing under the golden evening Summer sun. The sun casting long shadows over the scene and the distant Pennines in the distance. Such a peaceful English view. A view of Cleveleys Promenade shot as a long exposure to smooth out the waves at high tide giving this image a surreal feel. The curves of the steps known as the Spanish Steps lead the eye effortlessly through the image. If you look carefully the hills of the West Lake District can be seen in the far distance on the north end of Morcambe Bay. A black and white fine art version of the iconic Mary's Shell on Cleveleys Beach near Blackpool Lancashire. This view shows the shell partially submerged by a high tide. The shell is featured in the children's book The Sea Swallow that tells a tale set in a mythical land situated off the Fylde Coast. 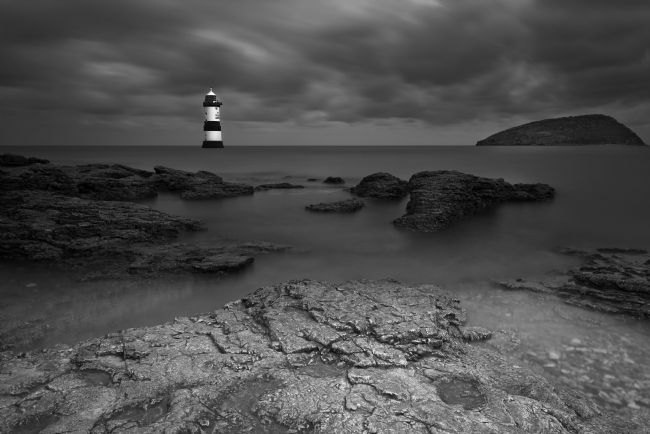 Penmon Lighthouse is one of several lighthouses situated on Anglesey. 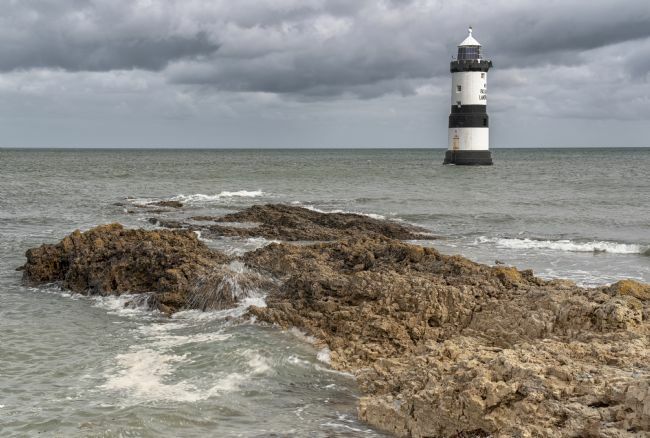 Penmon is situated on the South East of the island and warns ships of submerged rocks in the Menai Straights, a narrow passage of sea between the island and mainland Wales. Penmon (Trwyn Du) Lighthouse with Ynys Seiriol (Puffin Island) in the background. A long exposure shot showing the threatening clouds overhead that makes the lighthouse really stand out. The rugged rocks that make the lighthouse essential to guiding shipping through the narrow channel can clearly be seen in the foreground of this moody image. 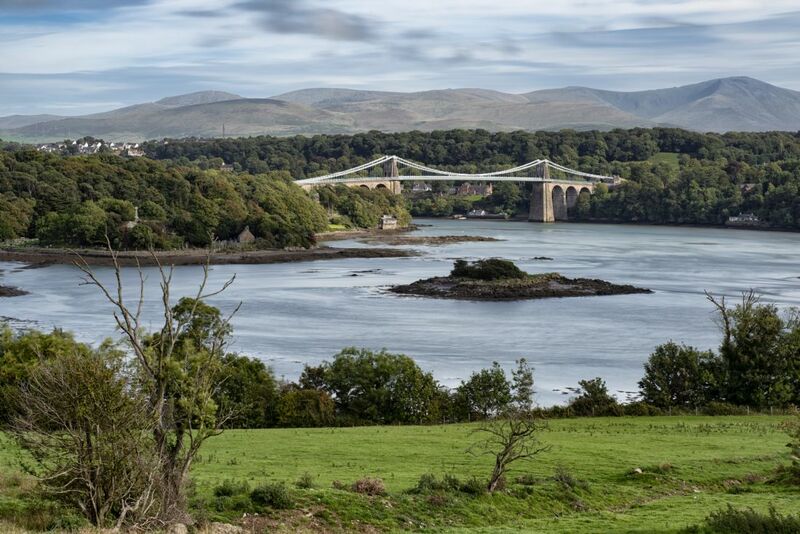 The Menai Suspension Bridge was designed in 1819 by Thomas Telford and is now a Grade One listed building. The bridge spans the Menai Straights that separate Anglesey from Wales. In this image you can see Snowdonia bathed is superb sunlight providing a lovely backdrop to this wonderful scene. Buttercups and blue skies in Bowland. 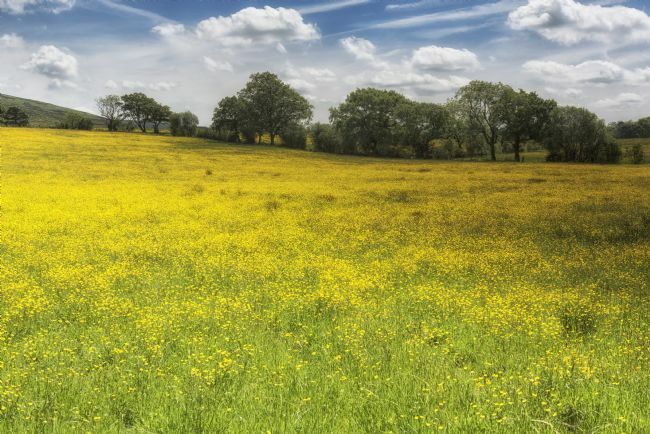 A stunning classic English countryside view shot in early Summer with the buttercups turning the meadow grass golden yellow in this Area of Outstanding Natural Beauty situated in Lancashire England. One of the many little brooks that tumble their way through The Forest of Bowland Lancashire, an Area of Outstanding Natural Beauty. The water running over the rocks illuminated by golden Summer sunshine creating a peaceful classic English countryside scene. 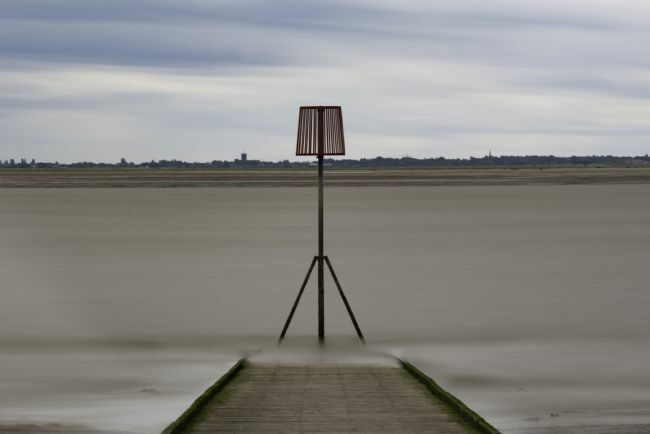 A long exposure view of the jetty at Lytham near Blackpool, Lancashire. The waters of the River Ribble smoothed out by the long exposure with the incoming tide washing around the base of the marker post. Looking across the river estuary Southport can be seen on the horizon. 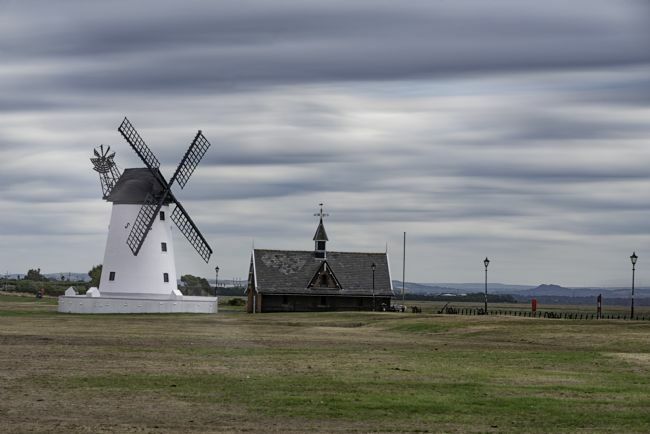 A long exposure shot of Lytham Mill, near Blackpool Lancashire, the clouds in the sky being smoothed out by the longer exposure time. There has been a mill on this site since the 1700's with the current mill being initially constructed on Lytham Green in 1805. 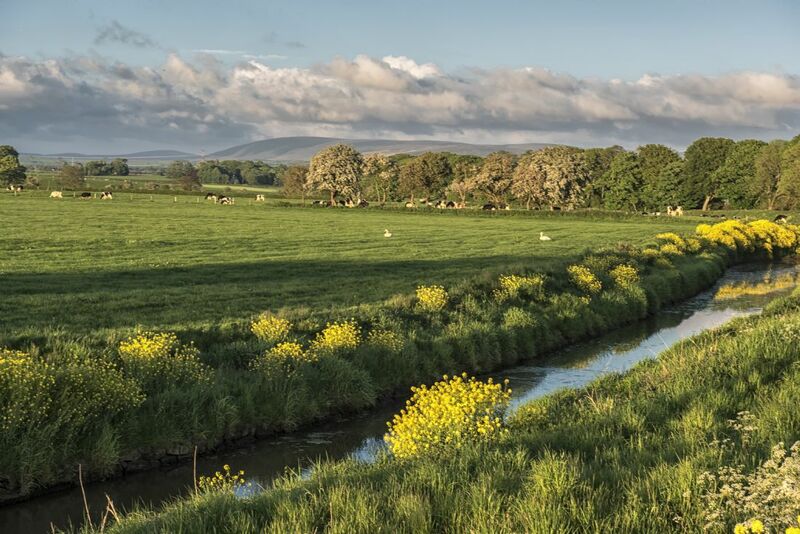 This mill is situated close to the banks of the River Ribble and is a local landmark on a lovely open public space on the edge of the popular town of Lytham. 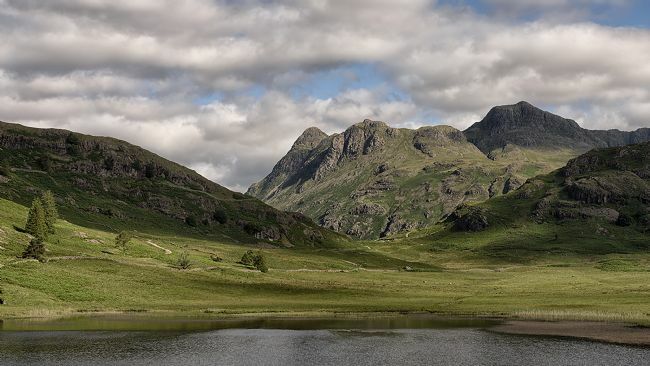 The well known Langdale Pikes often referred to as The Langdales situated at the head of Langdale Valley, The Lake District, Cumbria, England. This view was shot looking back at them from the shore of Blea Tarn that collects water that drains off the surrounding fells, the Pikes set off by the warm sunlight with the clouds framing them perfectly to provide this classic English landscape view. Bleamoss Beck which is formed from the outflow of Blea Tarn as it tumbles down Langdale Valley, The Lake District, Cumbria, England before joining River Brathay at Chapel Stile. The water in the beck is collected from the fells in Langdale Valley in the South Lakes area of this stunning National Park. 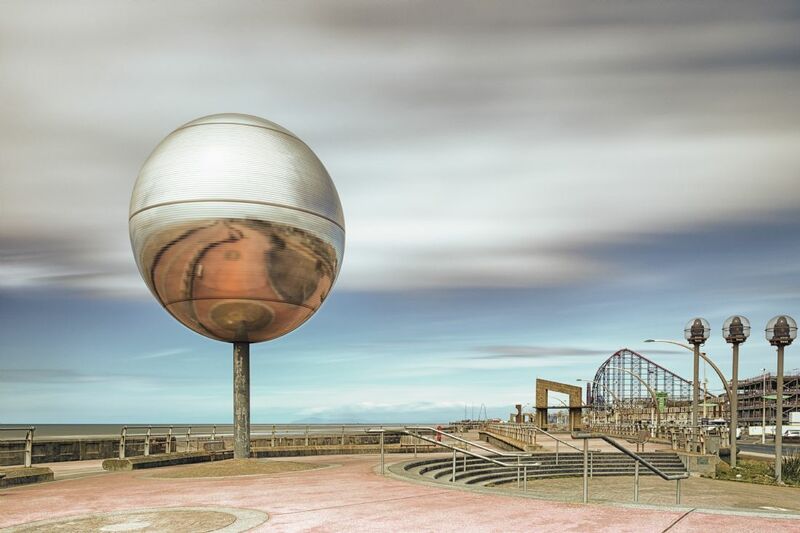 A view of two icons of Blackpool South Promenade, the Glitter Ball and in the background The Big One Blackpool Pleasure Beach. To many visitors to Blackpool the items of public art such as the Glitter Ball often go unnoticed. Along the whole Promenade from South Beach all the way to Cleveleys there are some lovely examples of public art that enhance a stroll along the sea front. 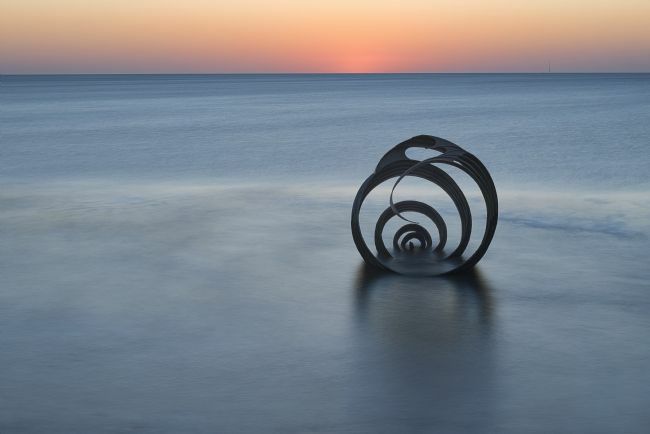 Mary's Shell is situated on Cleveleys Beach just north of Blackpool. The shell is featured in a book called The Sea Swallow and this together with other large public artworks form part of a public art trail along the stunning new promenade. In this image the setting sun can be seen literally a minute before it finally sinks below the horizon casting its final golden hues on the day. 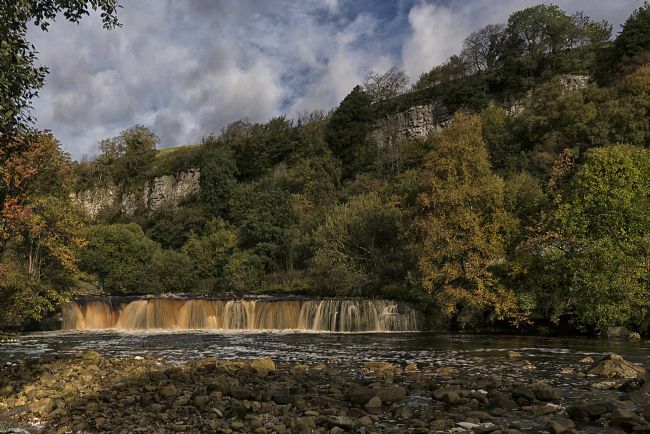 Wain Wath Force is a delightful and popular falls situated on the River Swale, Swaledale in the heart of the Western Yorkshire Dales. It is close to the village of Keld situated right next to the road. This shot the rich morning light and blue skies add a wonderful warmth to the shot sowing the falls at their very best. Hardraw Force is the longest single drop waterfall in England with the water from Hardraw Beck dropping over 100 feet over the limestone scar. It is located behind the Green Dragon Inn at Hardraw near Hawes in the Yorkshire Dales. 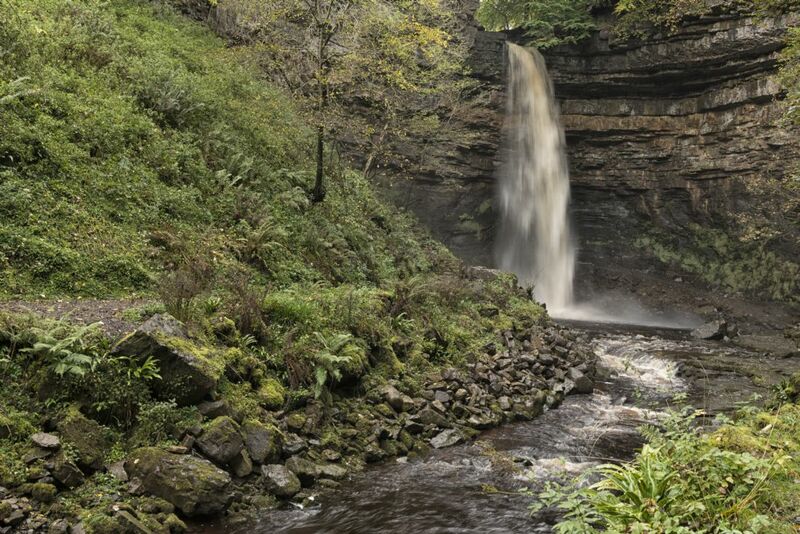 The waterfall was used in the film Robin Hood Prince of Thieves and also features in a TV advert for a well known brand of milk. 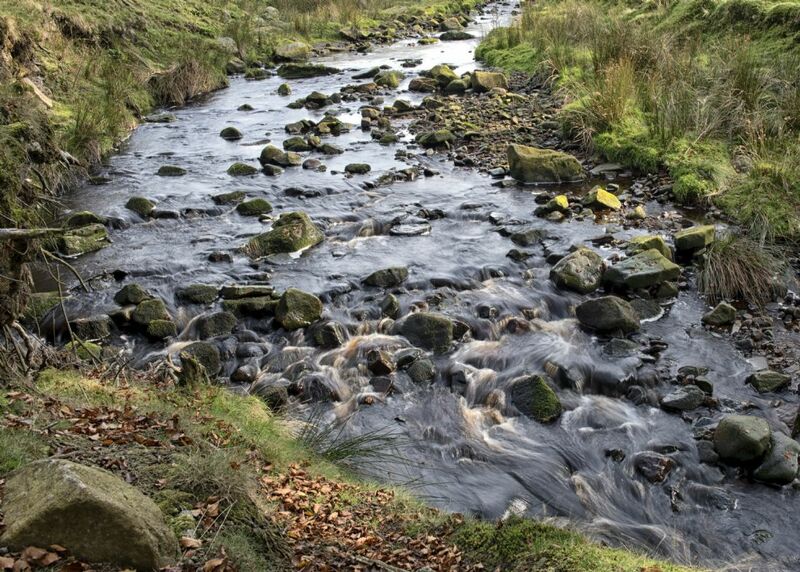 Autumnal view of one of the many streams running through Bowland, Lancashire, an Area of Outstanding Natural Beauty. The golden morning sun highlighting the golds, ambers and rich greens of this wonderful English countryside. Bleamoss Beck as it flows down Langdale Valley from Blea Tarn, The Lake District, Cumbria, England before joining River Brathay at Chapel Stile. 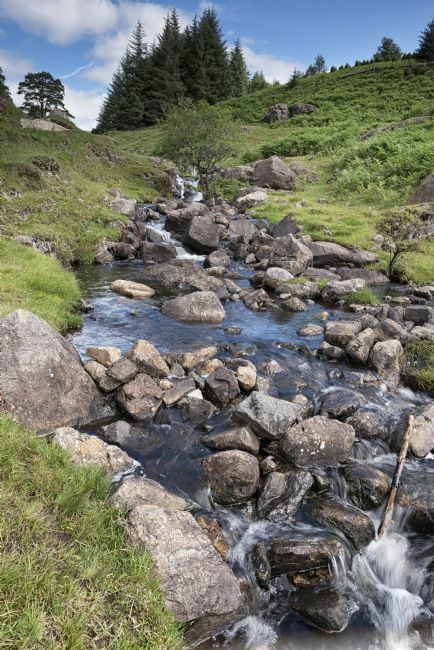 The water in the beck is collected from the fells in Langdale Valley in the South Lakes area of this stunning National Park. The Glitterball also known as They Shoot Horses Don't They? is located on Blackpool's South Prom close to The Pleasure Beach. It is the worlds largest revolving glitterball made up of over 46,000 mirrors. 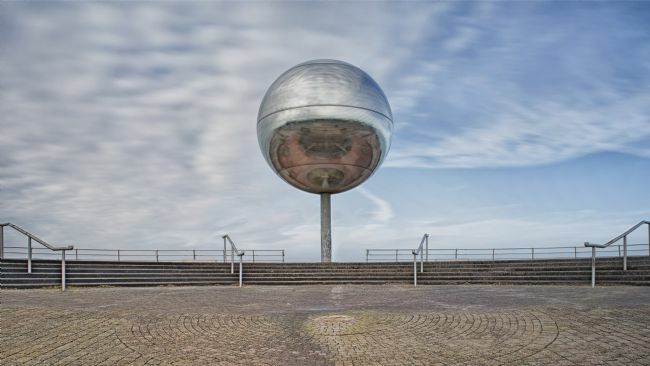 If you look closely at this image you can see the promenade reflected in the mirrors of the ball. This image plays on the symmetry of the surroundings giving it a wonderful balance. 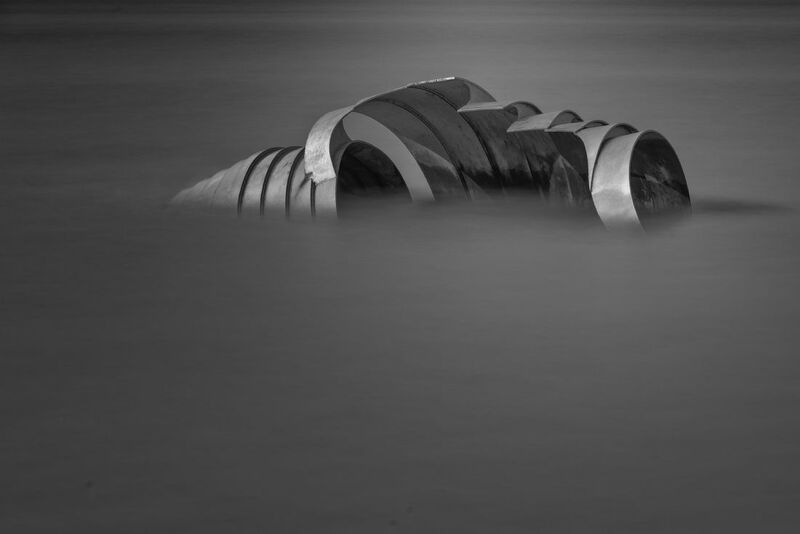 Mary's Shell is part of a public artwork trial on Cleveleys Promenade near Blackpool. 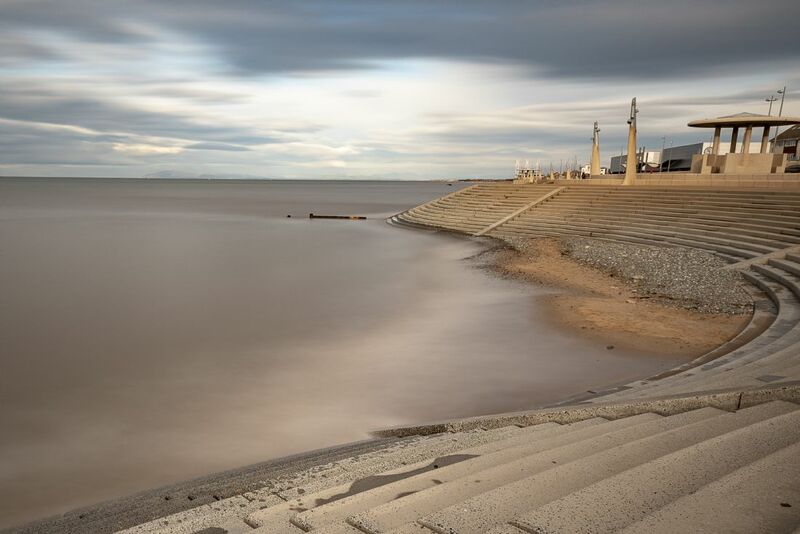 The shell which is 10 metres long and 4 metres high is situated on Cleveleys Beach, at low tide it is totally exposed and depending on the tide height is partially or totally covered at high tide. The shell together with other large artworks were inspired by a book called The Sea Swallow written for children that tells a story set on a mythological local coast, but is it a myth? Local history tells of a long lost village situated off the coast that was lost to the sea in the 16th century when sea levels rose due to coastal erosion. 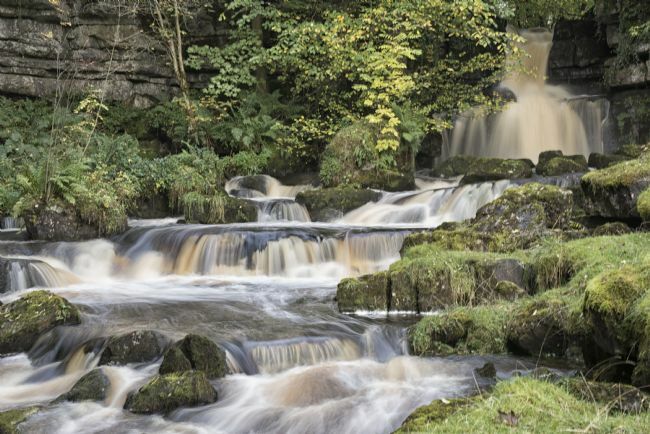 Lovely view of a small Yorkshire Dales stream as it drops over a stone ledge and tumbles of a series of small natural steps forming this lovely little waterfall. This image was taken in Swaledale close to the little hamlet of Keld. 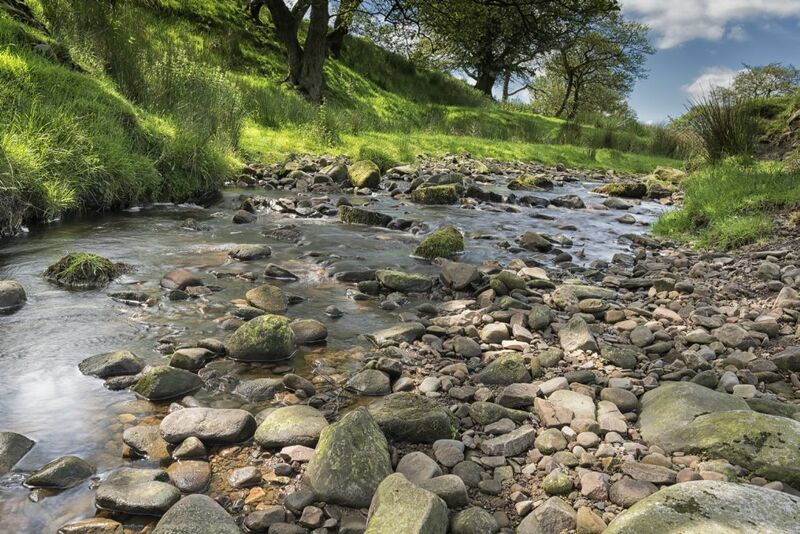 The water in the Yorkshire Dales is often referred to as "Yorkshire Tea" because of the distinctive brown colour that is caused by the peat it collects from the Moors.